My Flawless experience. - Cell Booster Infusion Mask - Hello! Welcome to my blog! I'm the type of guys who doesn't really care much on my face or the type who doesn't really apply much on the face like moisturizer, toner, facial wash. what I do is I wash my face with soap, quickly, wipe my face with a rough towel and that's it. I never tried any kind of facial. Maybe I was afraid to try it or I just didn't have any idea what I should be expecting. Come this opportunity for me to get one. Not just any facial, I was able to try toe Cell Booster Infusion Mask. This is Flawless' most advance facial treatment yet. From my inquiry, Flawless executive explained to me that the treatment is designed to perform two main functions. One, too combat effects of and protect the skin from the destructive free radicals that we encounter everyday. Two, to rejuvenate and improve our skins' cell architecture by nourishing it and encourage the tissue regeneration process. So it was my turn and I laid there trying to prepare myself for what's coming. I thought I was ready, but I wasn't. It started with cleaning of the face. Something like a soap, then was wiped off. Next was a cleansing process, and the steaming thing on my face. (to open the pores of my face). Next was the pricking. Man. I wasn't prepared for this. :) I do a bit of pricking on my self but not like this. I have a high tolerance for pain, pierce me, take some blood out of me but man, on the face? I think I have a weakness for that. :) So the lady started pricking my face and I swear, tears rolled down my eyes three time during the 20-30 minute procedure. It had a bit of pinch but hey, I'm a man and I can take it. Ha ha. After the process and crying my self to submission, the girl showed me the fruits of my pain and I was surprised. I never thought I'd see deep seated dirt like those. I felt so cleansed. After the pricking, Cell Booster Infusion Mask application was next. The science really here is that it delivers the essential nutrients to the skin at cellular level. The mask actually is an advance cellular repair hydrogel mask containing highly concentrated essence of cell-activating nutrients giving the skin an increased elasticity, minimize pores and fine lines and wrinkles. End result? Giving the skin undeniable glow. They also have the Cell Booster Kit to go with the treatment, I didn't get to try it and I forgot to ask how much it cost. The pricey wasn't too girly for me. In fact I can see myself doing this once a month or twice a month. In fact I encourage other men out there to take good care of their skin. Believe me, hard working me like us who are always on the go, meeting people and attending social events, we should take good car of our skin. CEO of Flawless, Ms. Rubby Sy shares that they are happy that they have been able to bring this one-of-a-kind technology to the country. Obviously, Flawless has been able to fulfill its promise to bring the best services to us Filipinos without the Class-A prices. So to end my post, I approve of this indulgence. Deep cleansing treatment with anti-aging and regeneration process at an affordable price. Thumbs up! See you next month Flawless! 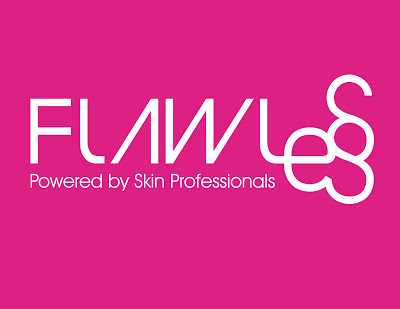 For more information, check out their website, https://flawless.com.ph/ and to know the latest from Flawless, follow them on Facebook, FlawlessFaceandBody and on @myflawless. Thanks again Flawless for the opportunity. Hope to see you again soon!